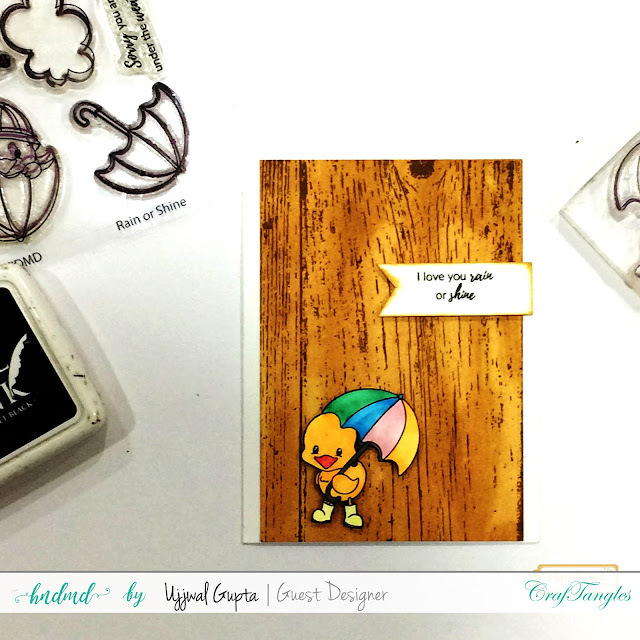 This is a guest post by Ujjwal from Handmade with Love. This is Ujjwal and as promised I am back with another post using the beautiful Craftangles stamps and stencils. I have quite a few cards to share today so let’s get started. 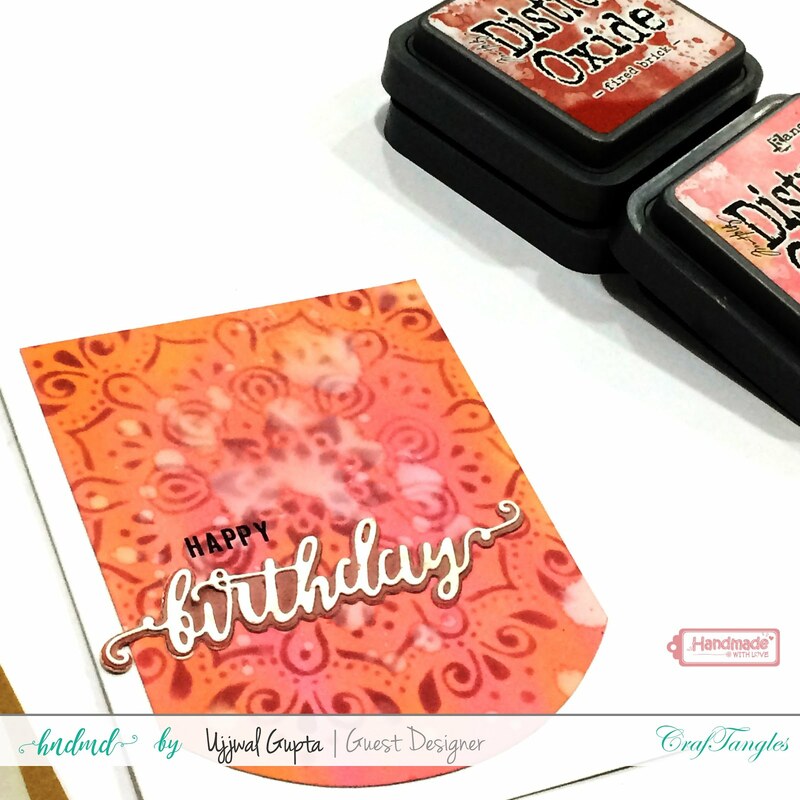 For this card, I used the “Big Weaves” Stencil to create the background. I started from the bottom left corner with the Worn Lipstick Distress Oxide and then blended it with Fossilized Amber Distress Oxide gradually fading the colors in the top right corner. 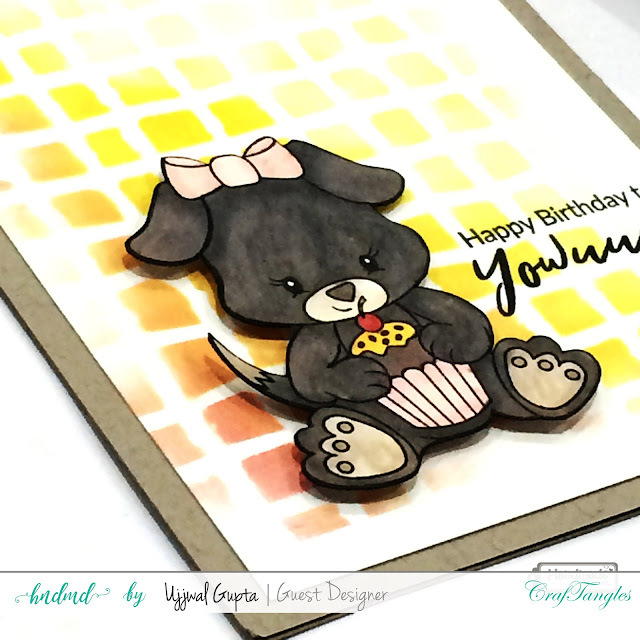 I also colored the cute puppy image from the “Happy Birthday to Yowuu” using Tombow dual brush markers and the put all the elements together. 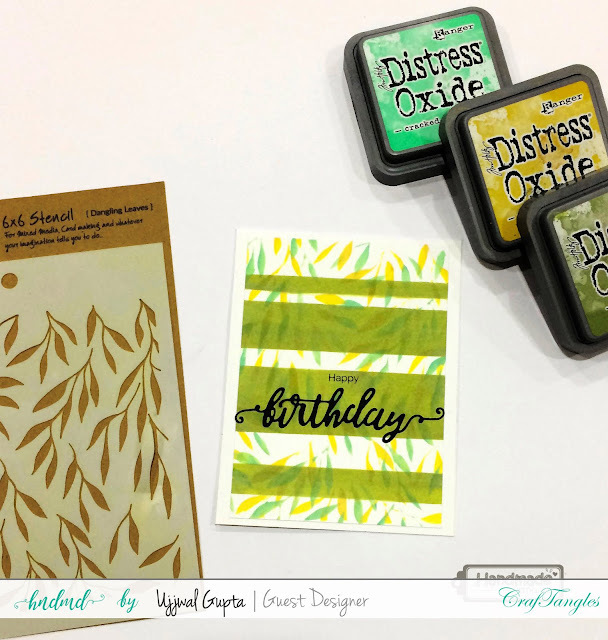 I started with the “Dangling Leaves” Stencil and Cracked Pistachio Distress Oxide ink and stenciled the pattern on the white cardstock. Then I used Fossilized Amber Distress Oxide ink and moved the stencil slightly to a different position. Next, I picked the Peeled Paint Distress ink and created the stripes by masking the areas one at a time. I then die-cut “Birthday” using the Craftangles steel die “Birthday” and assembled the card together. 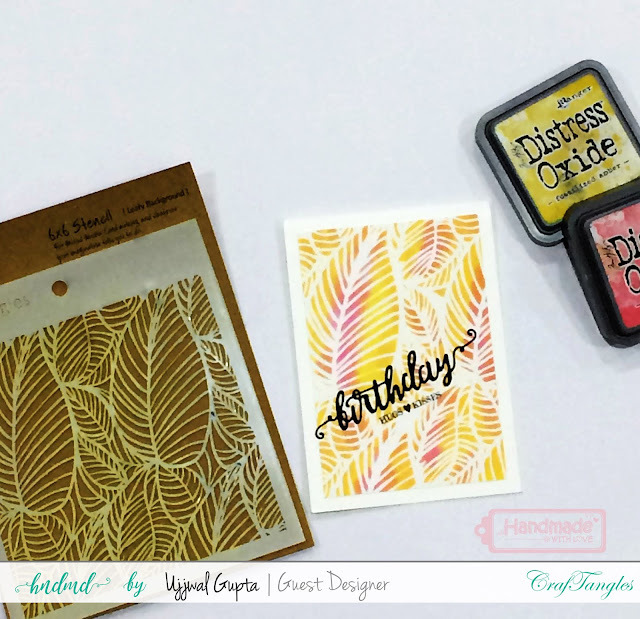 I stamped the “Wooden Background” using Vintage Photo Distress Oxide ink and then filled in using the Tea Dye Distress Ink to create the woodgrain effect. 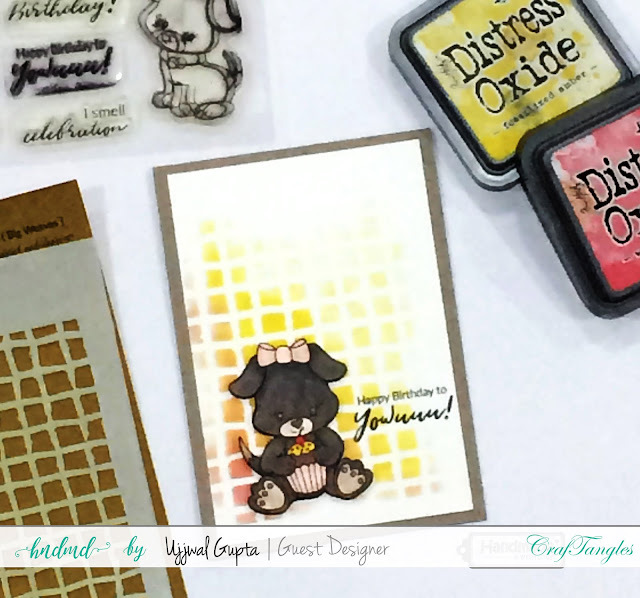 I stamped the image from “Rain or Shine” stamp set using Archival Black Ink and colored with Tombow Brush Markers. Then I stamped the sentiment and assembled the card together. I inked the background completely with Worn Lipstick Distress Oxide and also blended a little of Spiced Marmalade Distress Oxide ink. 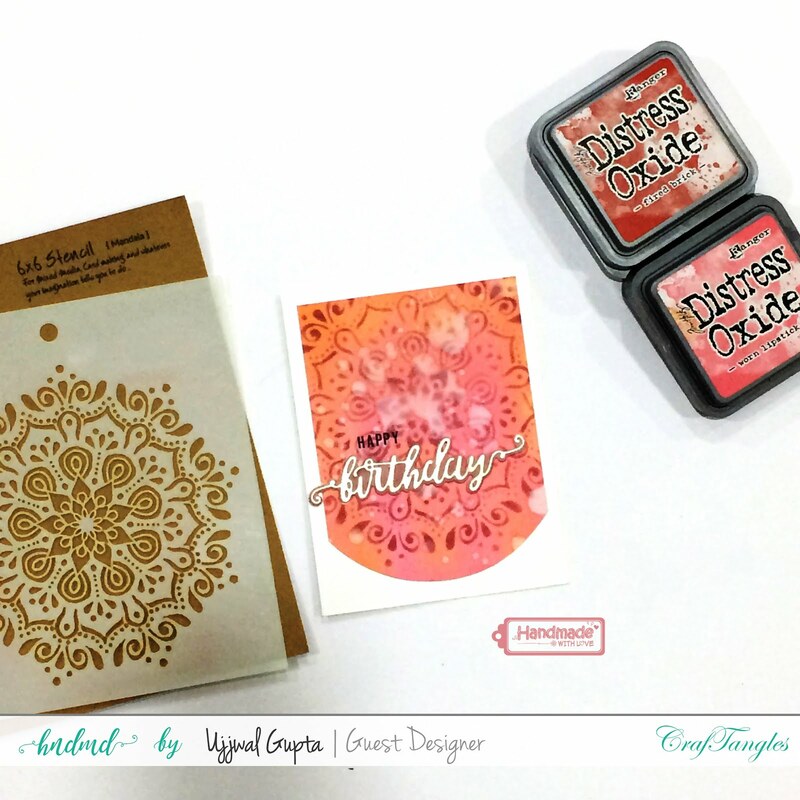 Next, I positioned the Mandala Stencil and using a sponge dauber and Fried Brick Distress Oxide, stenciled the beautiful pattern. I then splattered some water for added interest. 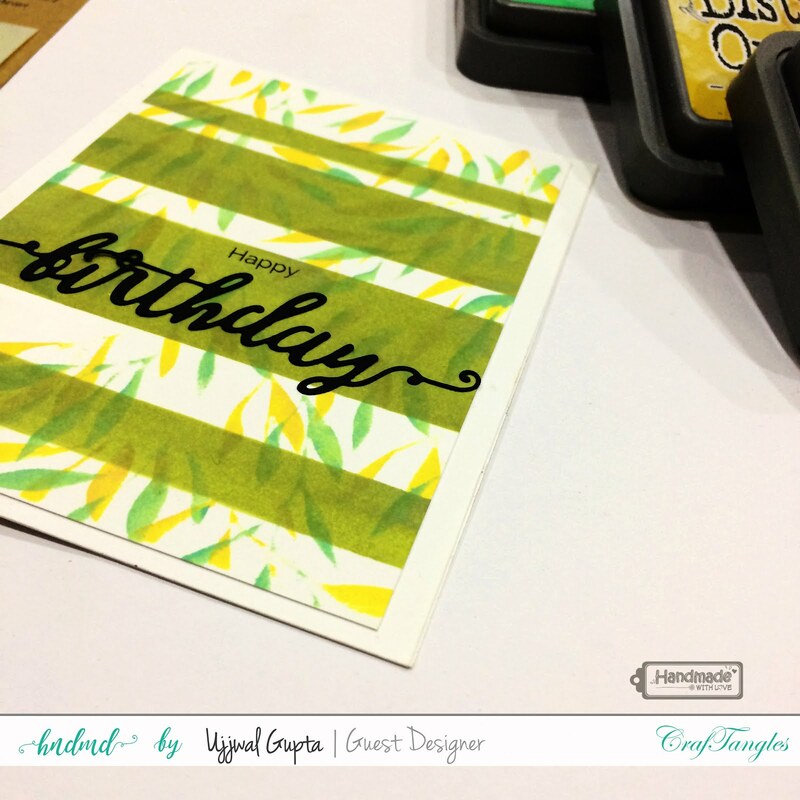 Once the background was dry, I stamped “Happy” and added the die cut “Birthday” to put the card together. I kept this one super simple by blending the Worn Lipstick and Fossilized Amber Distress inks right through the stencil. 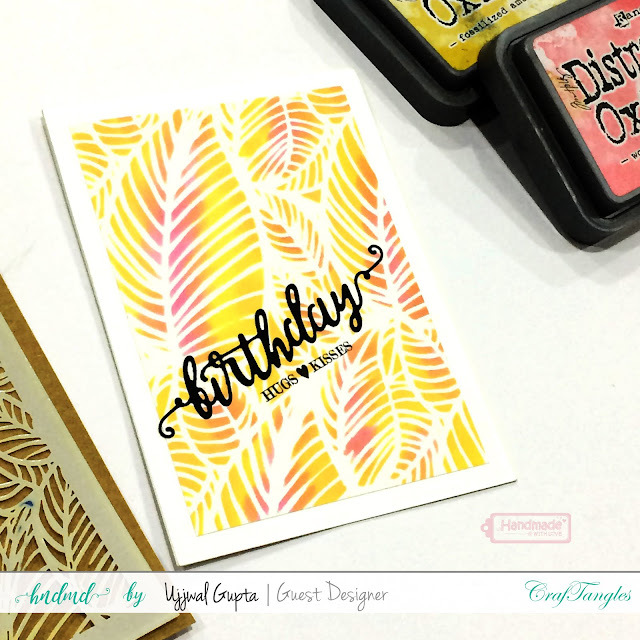 The die cut “Birthday” paired perfectly and I stamped the rest of the sentiment. Simple and easy. That’s all I have to share today. 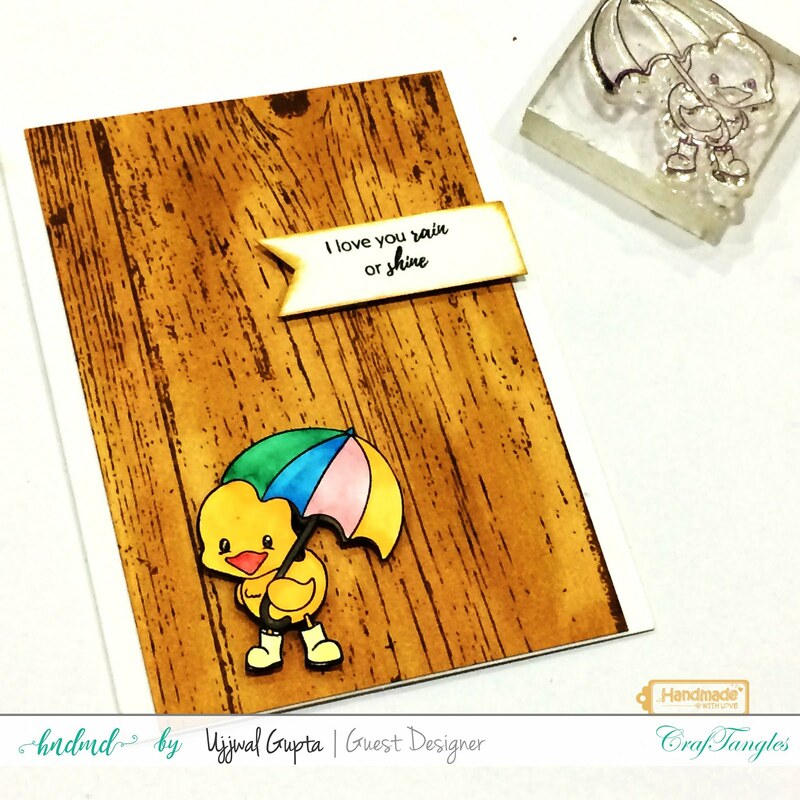 I had a great time working with the Craftangles products and guest designing here. I hope you enjoyed the posts and found some inspiration. Each one is so fresh and new..